[Benjamin W. Betts] has made some studies of the Solar System, and endeavoured to find the law by which the intervals between the planets are regulated. He considers that the planets mark points of undeterminateness in the circuit of the polar forces of attraction and repulsion. Gravitation lie considers as the resultant of a proportional relation of these forces and not as an independent force in itself. 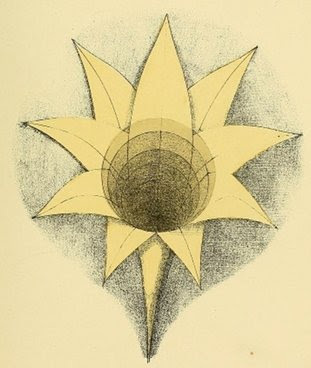 He believes the form of the Solar System, by which he means the invisible form of the activities immediately concerned in its production, and of which certain points are marked by the position of the planets, to be a nine-petaled lily similar to the Ond Corollas(1). Every Solar System in the sky he supposes to be the counterpart of some flower at our feet. Our Solar System is an Alpha or male universe. Others he believes may be Omega or female forms. The systems with dual suns he thinks may resemble his diagrams of bi-axial corollas. 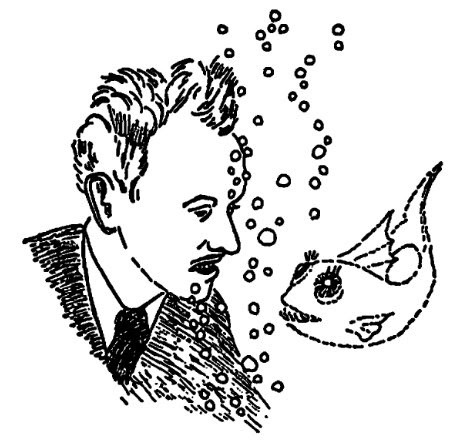 (1) The Ond Corolla, or simlply Ond, is the name given by Betts to form such the figure presented here. The Museum of Science and Technology Leonardo da Vinci in Milano was founded 60 years ago on the 15th February and yesterday this birthday was celebrated with a free admission from 14:30 until 23:30. Inside the museum you can participate in various interactive laboratories usually offered to visitors and visit exhibitions presented in the rooms of the Museum. While some of the exhibits are permanent, such as the one dedicated to Leonardo da Vinci, others are temporary, such as the one dedicated to Alan Turing, which centenary was celebrated during the last year. The exhibit occupies three small rooms, nothing incredibly wide or long to see, but certainly very interesting. The exhibition, in fact, tells about the evolution of calculating machines, starting from pascaline by Pascal until you reach the final room, explicitly dedicated to the great British mathematician and logician, where thanks to some infographics, the life of Turing is telled to the visitors. Meanwhile on the wall a series of videos posted to YouTube and dedicated to the great scientist are projected. The Enigma machine was patented in 1918 by the German Arthur Scherbius which takes and expand the operating principle of the Italian Leon Battista Alberti's cipher disk. Created to facilitate the encryption of communications in the financial and commercial, it was officially presented to the Berne International Postal Congress in 1923. Continuously improved, it is adopted first by the German navy and later by the army to make secret military communications. Easy to use, it enjoys a solid reputation as indecipherable that it ensure the wide diffusion. Enigma is based on the whole system of secrecy of Nazi Germany. The attempt to break the cipher is one of the most famous stories of counterintelligence of the twentieth century. The first attempts are due to the Polish Marian Rejewski but with the capture of the specimen aboard the German submarine U-boat 110, which is able to provide important information to the team of scientists at Bletchley Park, working night and day to this purpose. Alan Turing is among these. 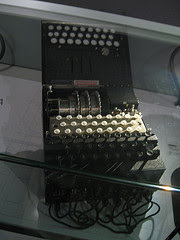 Thanks to his skills as a mathematician and cryptographer, Turing can make an electromechanical computer, The Bombs, ables to perform the task with a remarkably efficient. Subsequently he developed a more powerful computer, Colossus, that at the end of the war will be destroyed on the orders of Winston Churchill, and its existence is only made ​​public uprisings years after the end of the war. 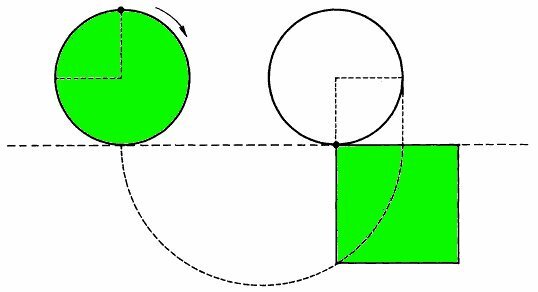 A rolling circle squares itself.